Hurry in to Otto's BMW for exceptional offers. 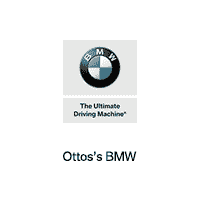 Welcome to Otto's BMW, the Premier BMW Dealership in the Philadelphia Area. We’re delighted you stopped by our website, and hope you’ll take a few minutes to acquaint yourself with our dealership family and the extraordinary automobiles we sell and service. Ours has always been a family owned and operated business, and since the day we opened in 1968, we have dedicated ourselves to outperforming customer expectations. We’re very grateful for the loyalty of our clients and the longevity of those relationships. We are keenly aware of the competitive marketplace and fully endorse the premise that satisfying current customers is the best way to attract new ones. If you are in the market for a New 2019 BMW, or a Certified Pre-Owned BMW, Otto's BMW is your one-stop shop. We also have a full complement of BMW factory trained technicians, to service all BMW models. Did you know Otto's BMW is a certified BMW Classic Center? That means our experienced technicians are able to service most model years. After every service we provide a complimentary car wash and vacuum using our brand new eco friendly car wash.
and other popular Philadelphia area attractions. and rest of the Delaware Valley.